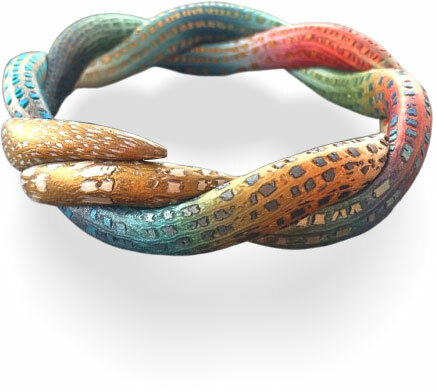 Prague’s Jana Honnerova brings a smooth and seductive metallic sheen to her polymer clay coiled and braided bracelets. Bits of gold float on top of spring colors that blend seamlessly into each other. 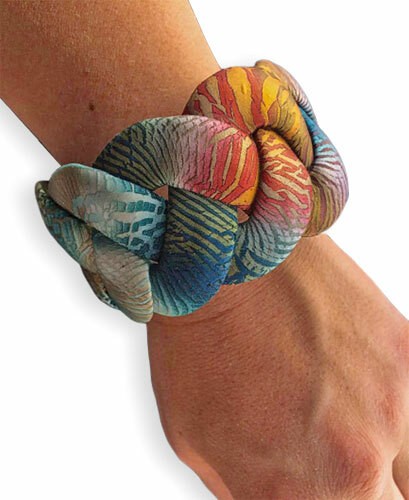 Admire them on Instagram and take an even closer look in her Etsy shop.